The Marketing Management Software keeps the tracks of your prospects. The customer contact software is useful for Markeing and sales force software people to keep the track of dealings in terms of communications, follow ups, reminders and regular touch up of their prospects. 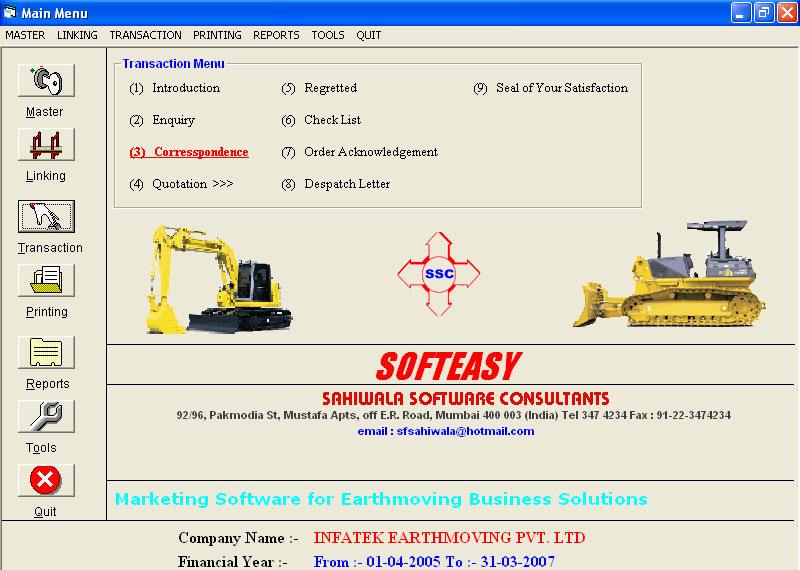 The Marketing Campaign management software starts from the entry of your prospects like Name Tel Nos address etc.after entering the details of the customers one has to fill up the enquiry form where he has to select the name of the customer from the drop down lists.One has to fill up all the details in Enquiry form like contact person requirements etc.Then comes the follow up form where he has to fill up the details and give the reference no of that enquiry, and has to mention the due date also. The follow up reminds the user of the marketing solutions software at that particular date to start following up to his prospects. 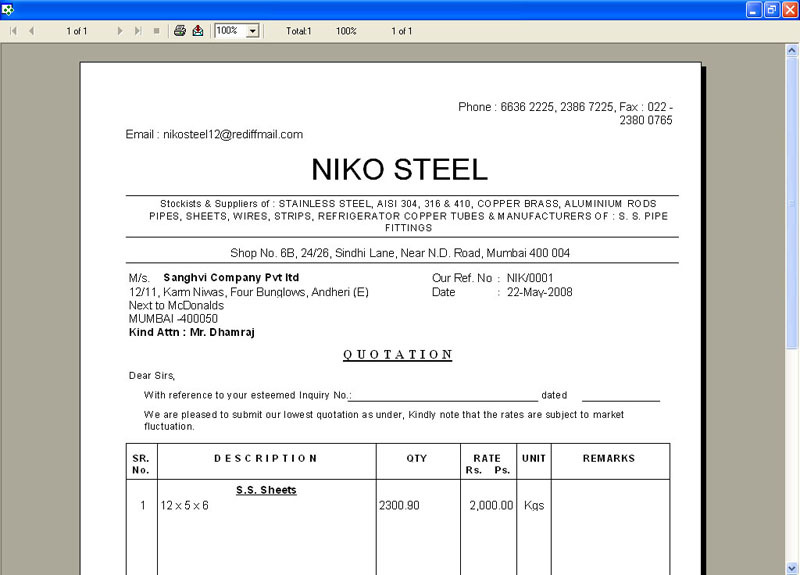 Afer that when the prospects turns in to the customer then the quotation entry has to be passed, by giving the reference number of that inquiry. The Marketing & Resource management software or CRM software is very lenghty in terms of regular follow ups and reminders. 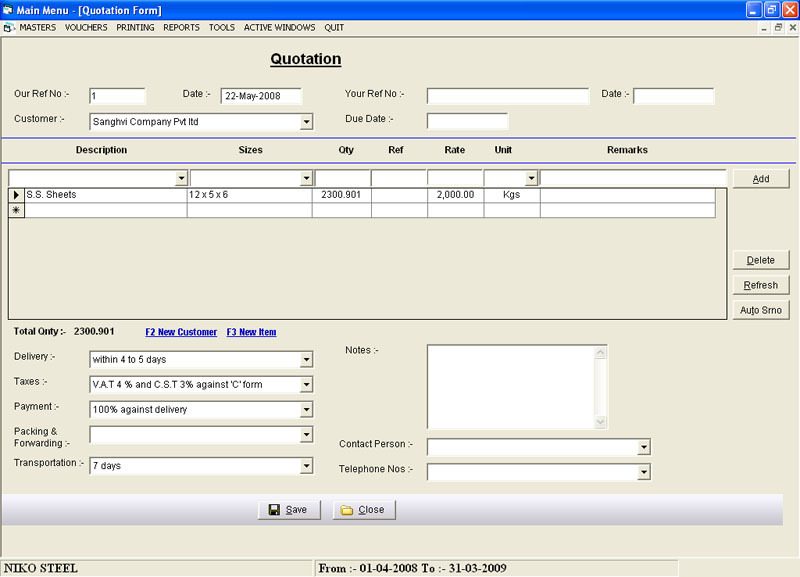 The Customer Tracking Software starts from the feeding of customer details up to the quotation. Its has the history of the particular customer starts from inquiry uptil quotation.It can get extends even to keep the track of records after the sales like sales supports, tracking outstanding balances and sending reminders for the payments etc. 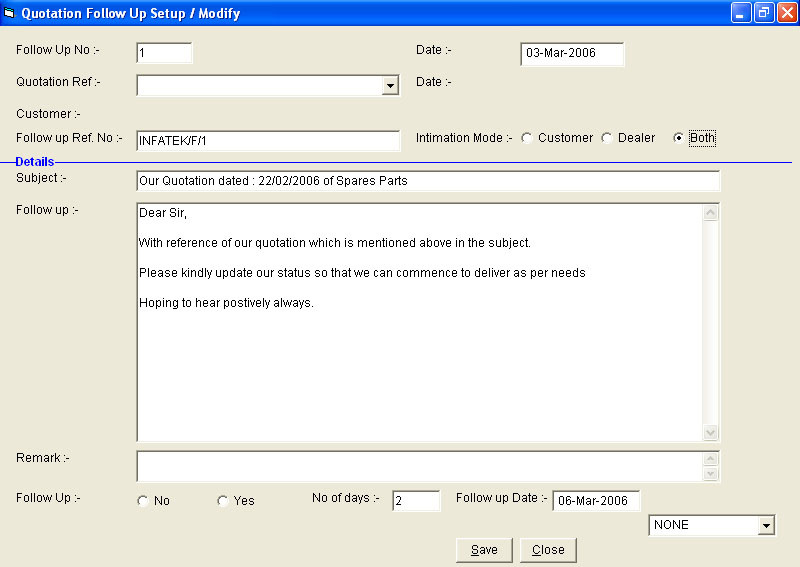 Introduction Letter Data Entry Screen of Customer Database CRM Software. 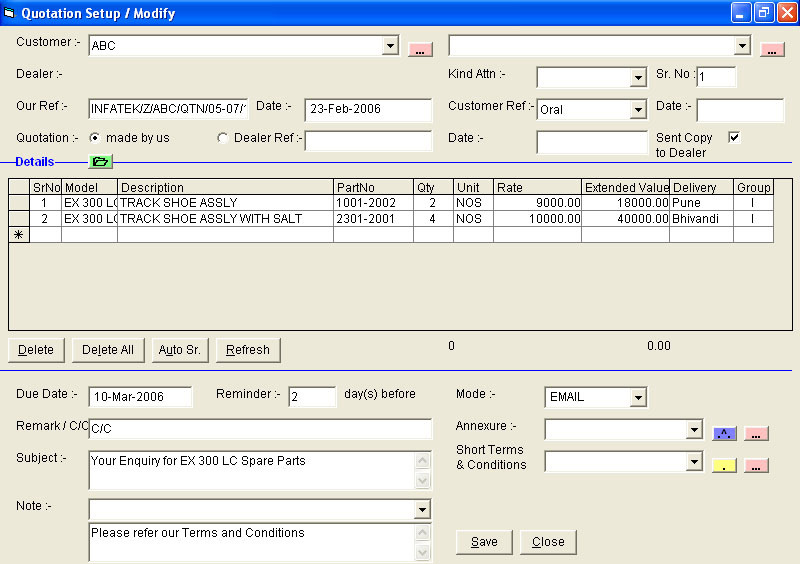 The main screen of the customer management is of the reminder lists which comes automatically from the insider records like follw up as per the due date mentioned in the inquiry form.The lead tracking and lead management software is available by filling up the form and it will be free for your use. 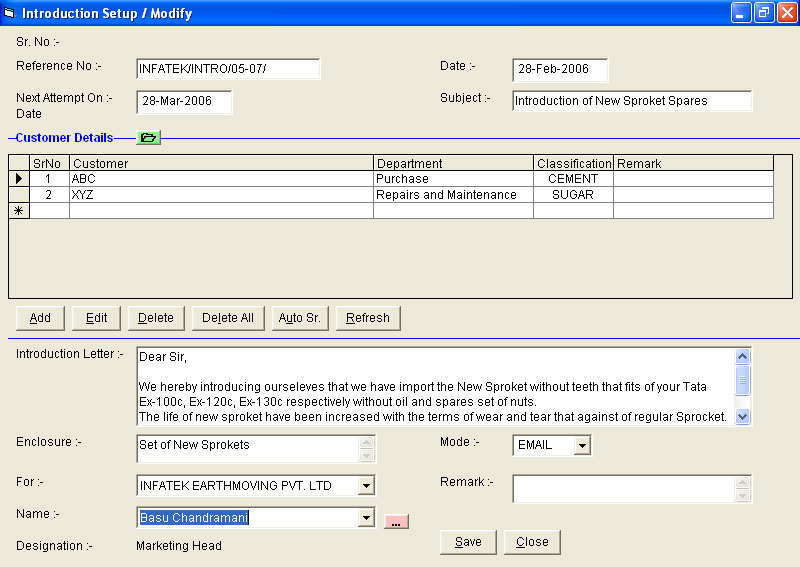 Follow Up Data Entry Screen . 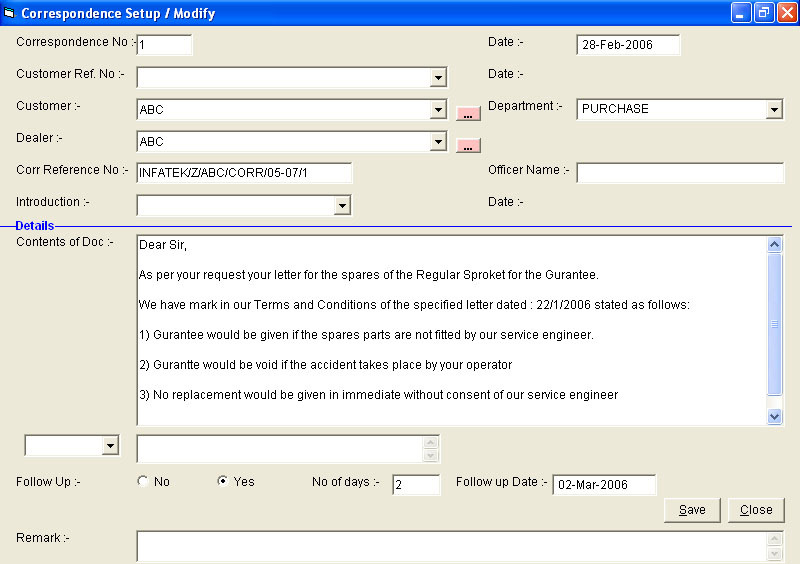 Main Menu Screen with Correspondence Highlighted.